The hidden message in the move to change the Constitution by SODELPA and other political parties is to take away the immunity section, says Prime Minister Voreqe Bainimarama. At the same time, he said, SODELPA wanted to free George Speight and his associates who were involved in the 2000 coup. SODELPA leader Ro Teimumu Kepa has declined to answer yes or no on Speight and their proposed truth and reconciliation commission. 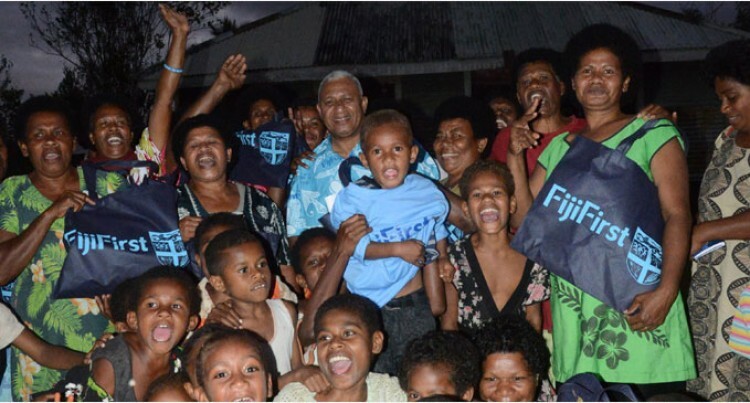 Mr Bainimarama, the FijiFirst leader, said at Vanuakula village in Ra yesterday that the opposition parties did not appreciate the many developments undertaken by the Republic of Fiji Military Forces (RFMF) since the change of leadership in 2006. “They still do not want to accept the Constitution that was put together by my Government with the full support of the military to take Fiji forward,” he said. He said they still wanted all those who were involved in the change of leadership in government in 2006 to be taken to task. He said he had thought all along that these politicians who came from nowhere, had supported the way forward for Fiji and that was to remove racist policies and treat all Fijians equal. Now, he said, they were targeting the Constitution to remove the immunity section at a time when the RFMF and the nation was facing a crisis in the Golan Heights. Right now, he said, he was prioritising his time to save the lives of the 45 detained Fijian troops. However, the other parties, he said, were trying to punish the soldiers. SODELPA, he said, was very smart in talking about the change in the Constitution as they would like to free those involved in the 2000 coup, especially Speight. He said Speight was the hero of the same chiefs who went to parliament to show their support. The other parties were now supporting them, he added. During his campign at Vanuakula, he urged all the supporters not to vote for a party that had promised to change the Consitution. He said they should remember that the RFMF was part of the Constitution and the Commander Brigadier-General Mosese Tikoitoga had assured that they would protect it.